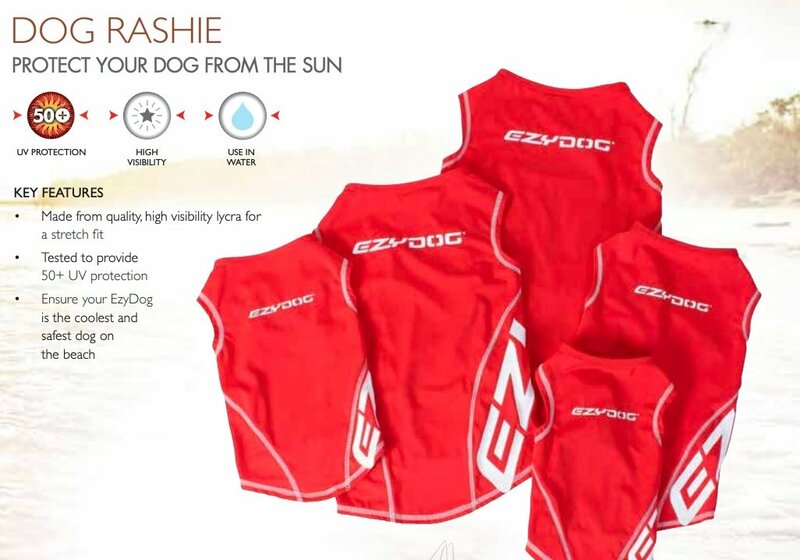 Ensure your dog is the coolest dog on the beach this year with the EzyDog Rashie Vest made from high vis Lycra and tested to 50+UV Protection. Super stretchy and very easy fitting. Keep your fun-loving pooch protected from the heat and harmful UV rays with the NEW EzyDog Dog Rashie Vest. 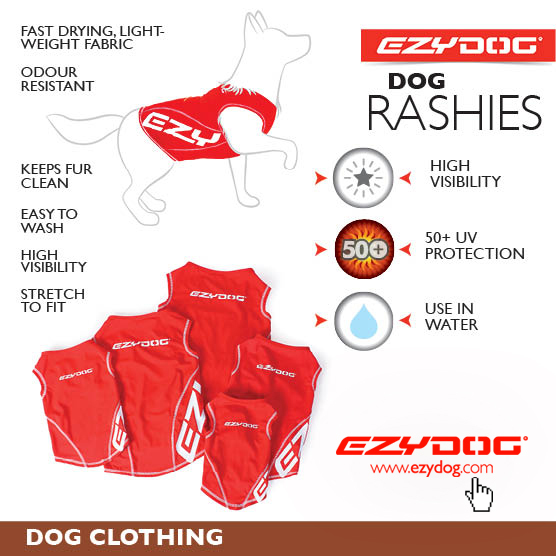 This dog rash guard is a protective shirt originally worn by surfers as protection against sunburn and heat rash while in the water. Now your dog can conquer the waves with the EzyDog Rashie Vest. 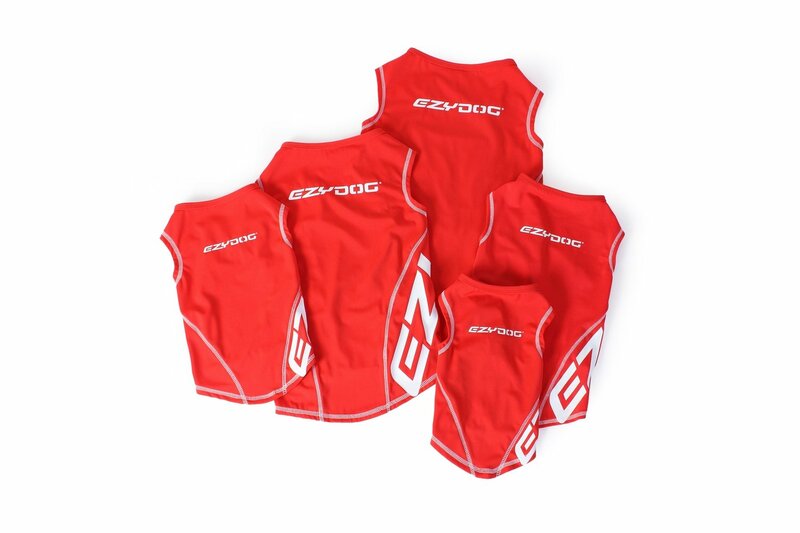 Make sure your EzyDog is the coolest and safest dog on the beach with this dog water vest. 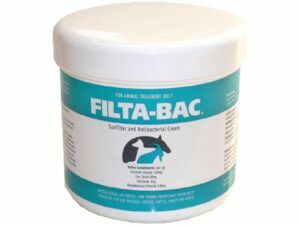 *Measure from your dog’s neck to the base of his/her tail. 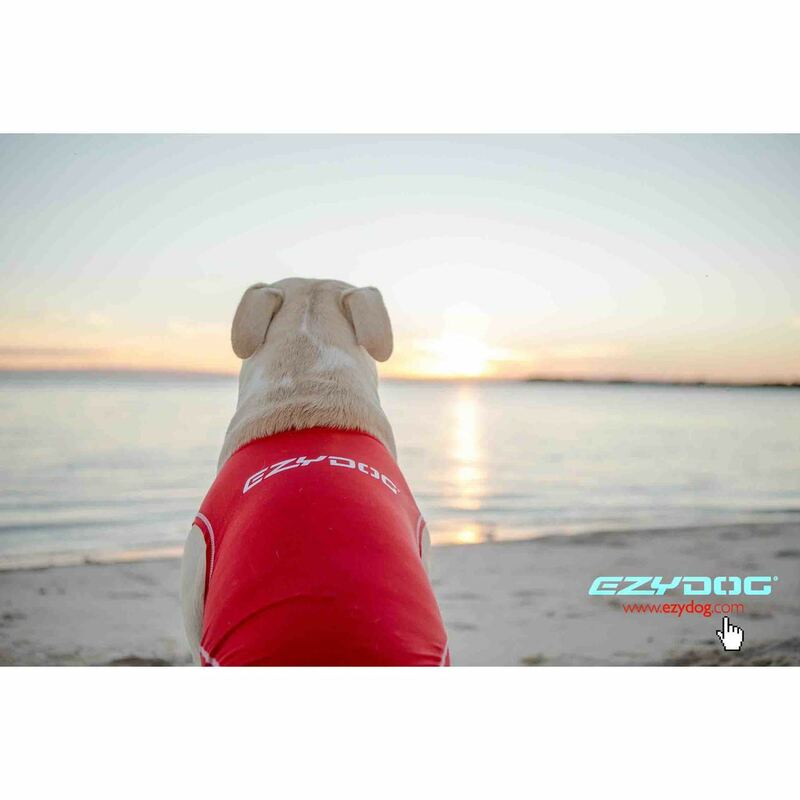 EzyDog products have stood the test of time and we strive for that long term reputation which focuses on relationships with furry friends and the great outdoors, as well as all of the activities that go along with this. Shipping: To keep shipping costs down, we calculate the shipping cost based on your location. 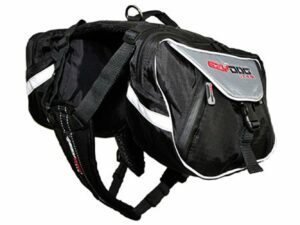 To check the price please add to cart and pop in your postcode. If you want to save money on shipping, please contact us either through our chat feature, phone number or email address. We work very hard to ensure that we offer the absolute best prices online. If you find another online store that offers a lower price then us within one week of your purchase date please let us know and we will refund your original payment for the difference. We want you to feel confident that you are getting the absolute best price for the product you are ordering. If you find that our own website has a lower price for the same item you have ordered within one week of your purchase date will refund the difference as well. To request your partial refund simply e-mail us a link to the same product on our website, or on our competitor’s website within one week from the date of your order and we will process the credit accordingly. In the unlikely event that you find your item cheaper at another online store, just let us know and we’ll beat the competitor’s pricing hands-down. My dog got a lot of compliments on his rashie, very cute and works as intended. The fabric is thicker than I expected and seems to be hot for him to wear in the sun if he’s not playing in the water. 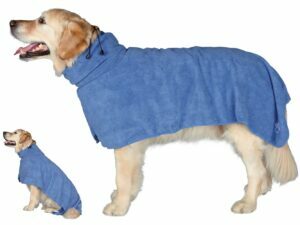 I have bought two and they are very well made. They are also really cute on the dogs. Would love to see them in other colours. The dogs don’t seem to mind wearing them. 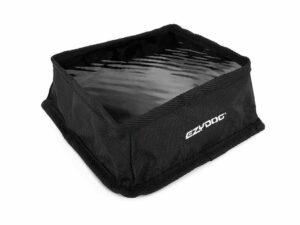 Works well to guard them against the sun’s UV, when we are at the lake. My dog loves to run in and out of the water if it’s shallow. He has very short legs and a longer body. This protected him all the way to his tail. The reason why we got this for him was to not overheat him since he is dark haired. The last time we went to the beach he was extremely hot. This shirt kept him cool as it stayed just enough wet on him. He was exhausted with all the playing. The quality and the fit was much better then I expected and would definitely recommend it to anyone out there who is thinking about buying it.